Comments Off on Frustrated When Closing the 2011 Year with Your Current Accounting Software? Microsoft Dynamics GP Can Help! Frustrated When Closing the 2011 Year with Your Current Accounting Software? Microsoft Dynamics GP Can Help! One of the frustrations we often hear when meeting with a potential new customer is related to closing their year-end books. This can be a source of much agony in the business, especially when the boss is asking for reports, and the accounting staff is wondering if they can post transactions for the current year before closing the year? 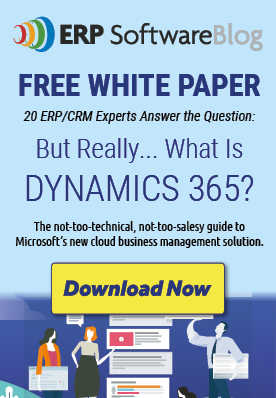 In Microsoft Dynamics GP, YES, you can. You just need to set up a fiscal year for the 2012 new year in the Administration>Setup>Company>Fiscal Periods window. The General Ledger in Microsoft Dynamics GP is totally date sensitive, and the transactions will post to the correct year based on the dates you use on the transaction. You can also enter General Ledger transactions for any open year in Microsoft Dynamics GP and to the most recently closed year. For example, assume 2010 is a closed year, and 2011 and 2012 are open years. At this point, you can post entries to all 3 years. Once you finish posting transactions for 2011, and are just waiting for auditing entries for 2011 from your accountant, you can close 2011. You will still be able to post transactions to 2011 because it is the most recently closed year. However, you will no longer be able to make entries to 2010, because 2010 is not the most recently closed year. If you need help determining whether your current system is going to achieve your business goals this year, give us a call. We can help you determine how improved processes can affect your bottom line. Posted in About Microsoft Dynamics GP, ERP Software Information, Financial Reporting, Microsoft Dynamics ERP Functionality, User - ERP User Posts | Comments Off on Frustrated When Closing the 2011 Year with Your Current Accounting Software? Microsoft Dynamics GP Can Help!